If you thought only low-skill jobs were in trouble thanks to the onslaught of automation, think again. 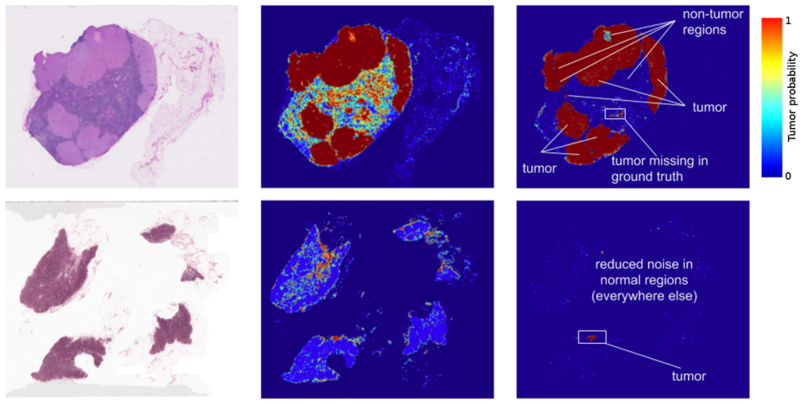 Google has been working on an advanced image recognition systems for several years through its GoogLeNet project – and one of its applications is detection of cancer. Doctors checking for breast cancer, for instance, need to review images to determine if the cancer has metastasized away from the breast. This involves looking at thousands of images of biological tissues, each of which is 10 gigapixels when digitiszed at 40x magnification. This isn’t easy, even for trained pathologists – agreement between different clinicians studying the same slides can be as low as 48%. But Google uses a convolutional neural network techniques to give its results, which are often better than what trained pathologists come up with. Google’s paper says that given unlimited time, a human pathologist could detect 73.2% of tumours, Google’s system, on the other hand, could detect 92.4% of the tumours. The previous best augmented approach had yielded an accuracy of 82.7%. While encouraging, Google’s approach isn’t going to replace doctors anytime soon. Google’s systems found 8 false positives per image, which meant that they detected tumours when there were none present. But the direction in which the research is heading is clear – automated systems are getting better all the time, and it won’t be long when they’ll be able to consistently perform better than humans. Which means that no one is entirely safe from the onslaught on machines and artificial intelligence that will inevitably come down upon us. Thus far, there had been fears that lots of low-paying, repetitive jobs might be in trouble because of advances in technology – Uber, for instance, has created a driverless truck, and lots of companies are vying to put driverless cars on roads as soon as they can. In India, Wipro and Infosys have said that they’ll be replacing thousands of workers with automated machines. But now it looks like even doctors, who need decades of education to attain speciality in their fields, might just need soon have competition from their AI counterparts.